Bose has launched a new home entertainment system called the Bose VideoWave, which does away with the need for a separate speaker system as all of the speakers are integrated into the TV. As you can see from the photo it looks exactly like a standard HDTV, but hidden inside the Full HD 1080p LCD TV is a complete 5.1 channel surround sound speaker system. The VideoWave system merges sound and picture like never before, delivering cinematic performance from invisible speakers built into an HD display. But it also delivers more. This single, integrated system eliminates a roomful of speakers, wires and complexity. And notable advances in simplicity make it our easiest system ever. 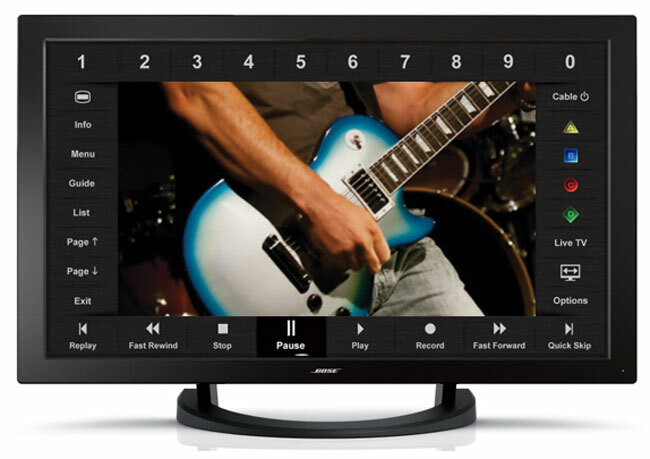 The Bose VideoWave features a 46 inch LCD display, and it is now available from Bose for $5,439.